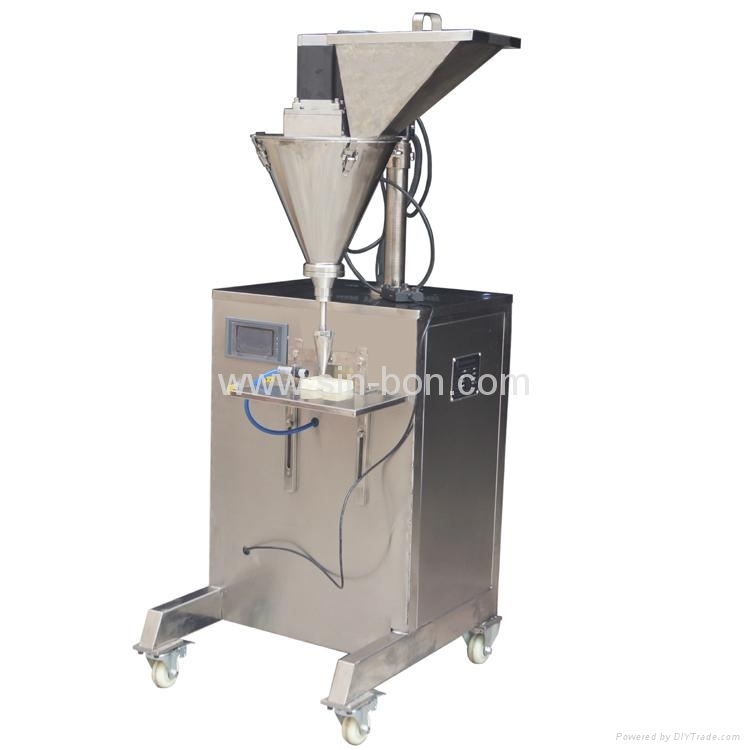 Suitable for all kinds of industries like food, medicine, cosmetic, chemical industries etc. Powder products can be filled like flour, milk powder, bean milk powder, powder spices, coffee powder, etc. 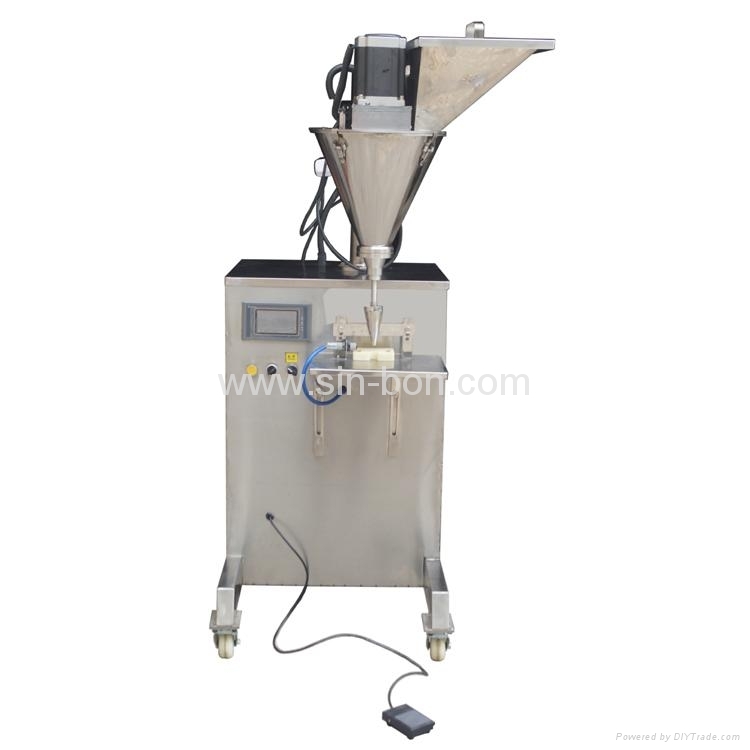 This powder filling machine can measuring and filling, operator should use container or bags to take the coming out products with the weight you want at the discharging hole. With imported PLC Control System, good stability, easy to operate, durable in using time. Material is stainless steel 304; meet the standard requirements of food products and durable in using time. Control Mode: automatically filling or step on foot pedal for filling, both are ok.